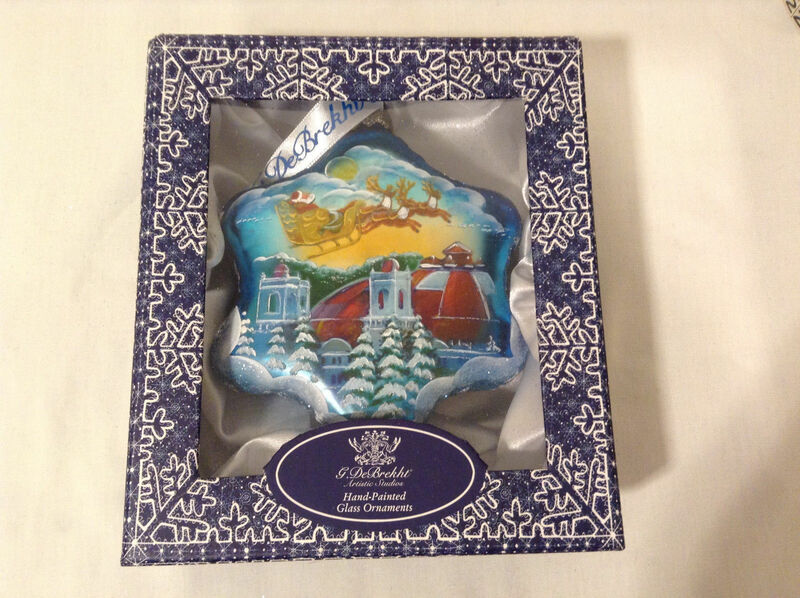 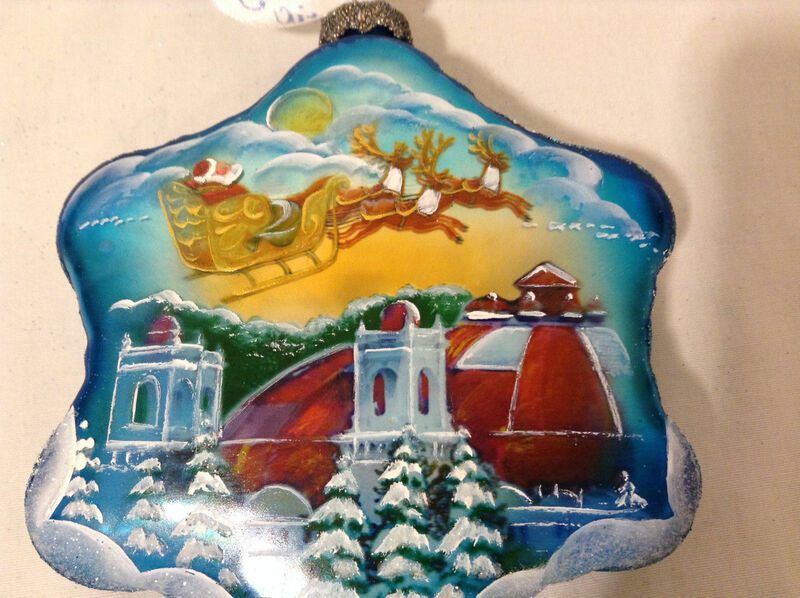 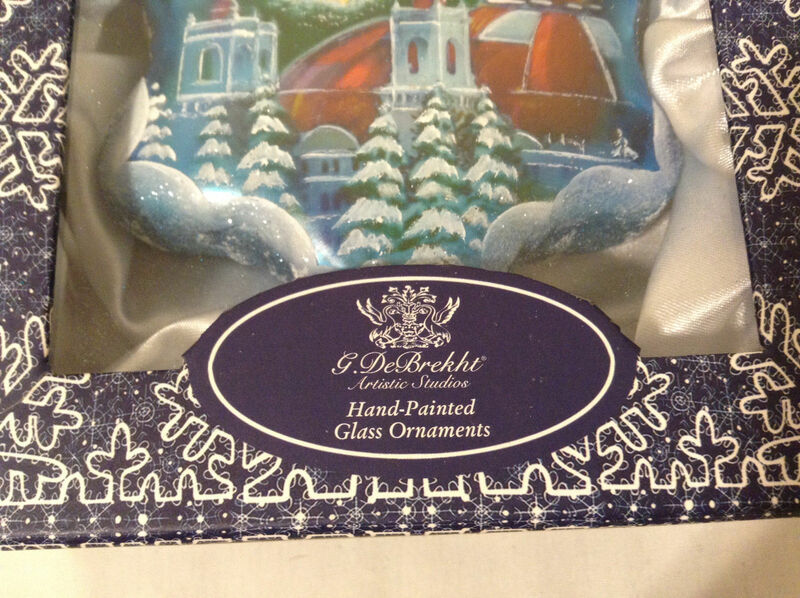 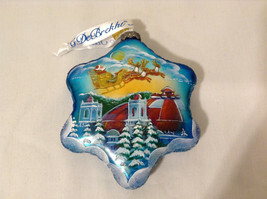 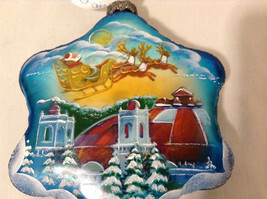 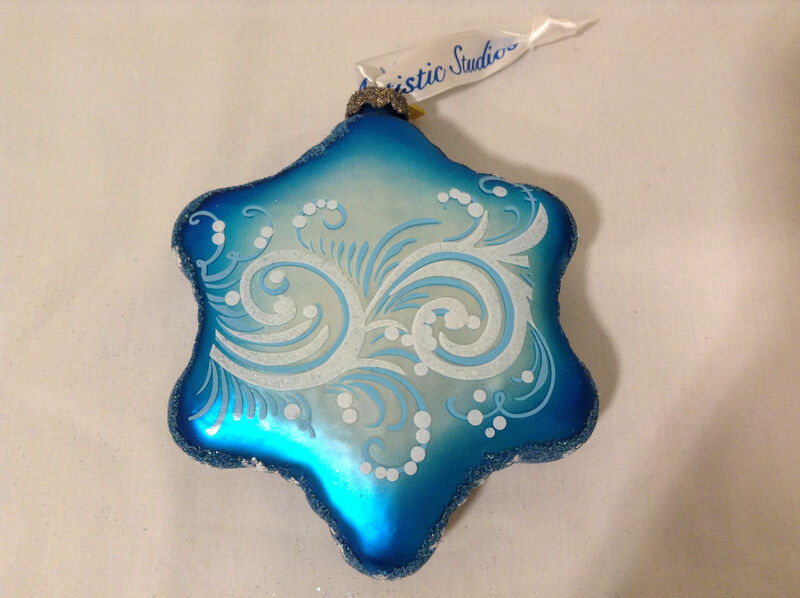 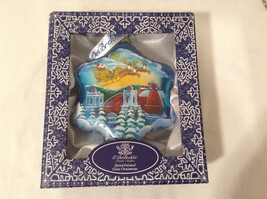 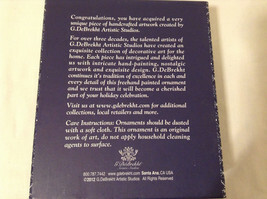 G Debrekht Winter Christmas Glass Ornament "Santa on Sleds", Hand Painted. Star-like shapes. 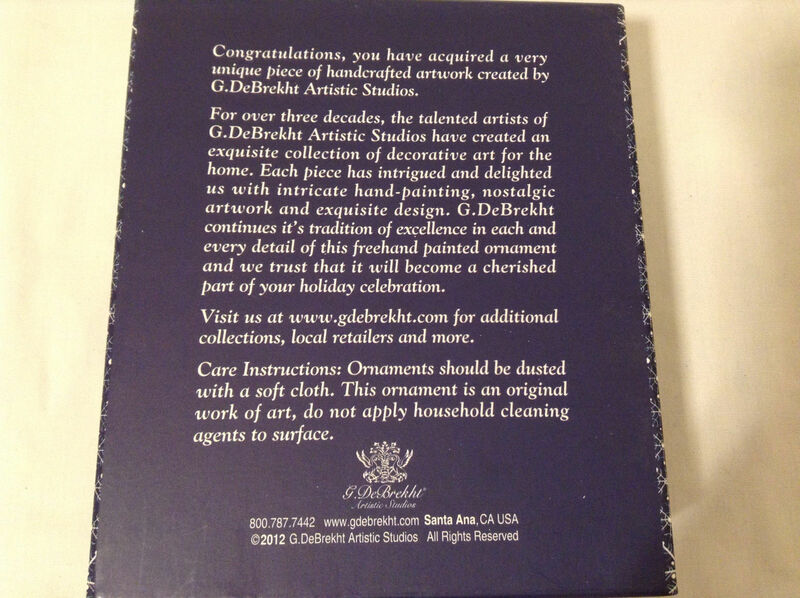 Collectibles. 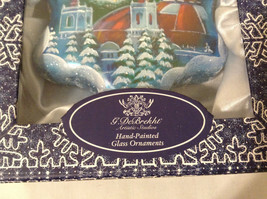 Measurements: 5" tall, 4.25" widest part side to side.